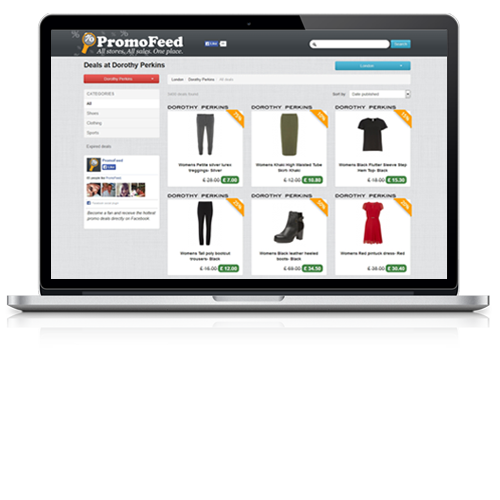 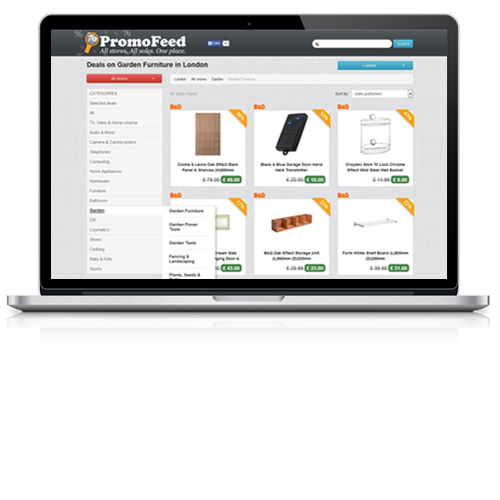 Promofeed.co.uk is search engine and catalogue which aggregates tens of thousands of discounts from various popular retail and e-commerce stores in one place. 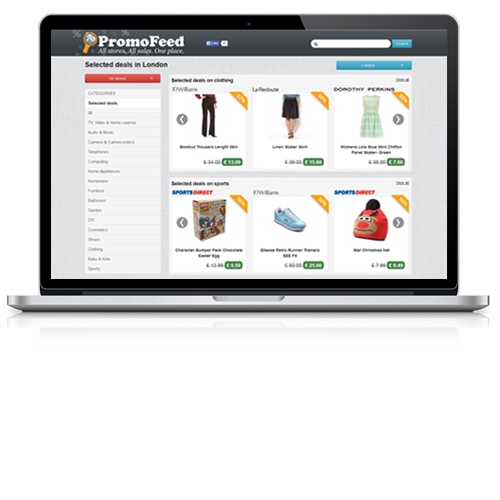 No matter if it is a laptop or piece of clothing or if it is from Tesco, Debenhams or SportsDirect – Promofeed.co.uk is your place. 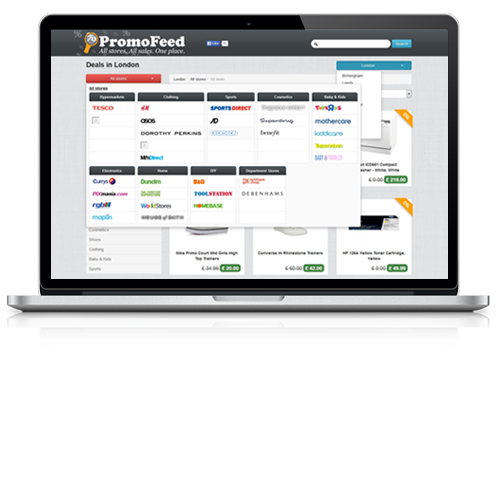 There is no need to browse through dozens of different sites and product catalogues anymore – with Promofeed.co.uk the best discounts are just a single click away. 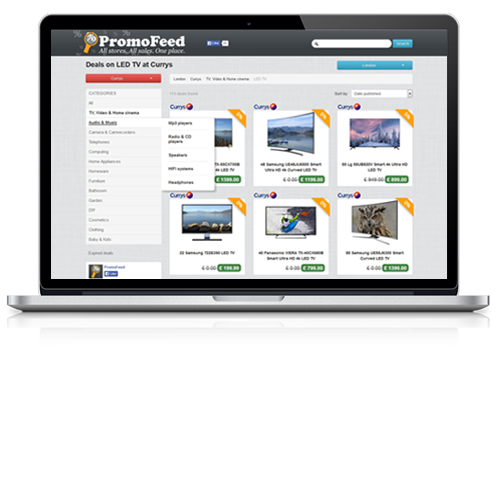 Why don’t you have a look at some more promotions in France and Bulgaria?